movie musical | takilya ni leaflens - dakilang #filmmiron ever! i was fixing some things earlier when i saw that i haven’t seen this film pa nga pala. the dvd was just lying there so i thought it’s a good lunchtime companion to watch while i violate some health thing and ate food that my doctor warned that i was not supposed to eat anymore na. heck, comfort food’s comfort food–and i need comfort these days, so what the heck. so i did. eat the damn food and watched this film. and i loved it. everyone’s good here, hands down. the acting was great, the camerawork was cool, and the music and dancing were just fine. of course that’s a given, given that this film is about the rise of a record company similar to the old decca/motown of yore back in the late ’50s to ’60s when white racist america was afraid to dabble into the music and culture of the black folks because they believed it had some voodoo and black magic thingamajigs with it, not to mention that rock ‘n’ roll was branded as the music of the devil back then. stupid di ba? but no, they still ended up “borrowing” this sound for their own culture and profit (which a sequence addressed in this film, ie yung pagnakaw ng isang kanta at ginawang acoustic). haller, elvis presley na lang kaya no. and his contemporary din, si jerry lee lewis na sabi nila e his one hand played gospel music and the other hand played rock ‘n’ roll (he was a pianist as elvis was a guitarist). kaloka. e tumambay lang naman siya sa mga black folks at nagets niya ang sound na yun e. sus. great balls of fire indeed. and elvis? hay. as much as the man was talented, i can’t forget his quip saying “the only thing niggers are good for is to shine my shoes.” da king ka talaga, indeed. anyway, enough about rock ‘n’ roll history. i loved this film because it had that sound that i love — that soulful motown-like sound. sobra lang.i’ve always liked the soulful sound of the black folks, blues, jazz, rock ‘n’ roll man yan or what, even rap, the precursor of today’s hiphop. i liked that it had that sort of history about a girl group that rose from being a back-up to a popular lead soloist (na usually lalaki) hanggang sa naging full act na sila on their own. i liked girl groups like these din, kasi nakakatuwa ang songs at pagkanta nila. never mind the costumes and choreo, although that’s the stuff that drag queen impersonation is built upon, so go go go girls! of course the most popular of this kind we know is the supremes, with no less than diana ross in the middle. pero meron ding iba, like the shirelles who originally recorded and sang carole king’s penned song “will you still love me tomorrow” before carole decided to record it on her own. kakaiba talaga ang era na iyon. i so heart the music it produced. okay yung mga angst nila, at tuwa akong hindi nila masyadong dinramahan sa emphasis nung ano ang nagagawa ng fame sa mga simple folks who just have superb singing talent ek, much like how stories like this have been filmed before. mga rags to riches, rise to fame, fall from fame plotlines ek. dami nang ganyan. what sets this film apart is that nag-focus sila sa interpersonal lives ng characters more, at reactionary lang sila sa surroundings nila. it was more human when treated that way, and they were never pictured as cookie cutter characters in a way. case in point: yung ambitious producer role ni jamie foxx. may nuance ang character niya at subtle lang yung portrayal niya na gahaman siya ek. i especially like their tug-o-war ek nung character ni beyonce, lalo na nung nagkakalabuan na sila at nare-realize na ni girl na dapat e may sarili na siyang buhay na di dikta ni husband-manager. hay. oh well. music really gets to me sometimes. and i guess i needed to hear that song today. if only today. 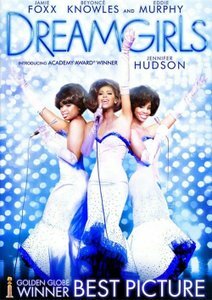 dreamgirls is not the kind of film you’ll watch over and over. once is enough. but that one time is enough to leave a lasting impression on your mind, and your soul’s music. happened to me. could happen to you. who doesn’t love abba? buang kayo if you don’t. they’re just one of the greatest pop acts to appear on this planet, so there better be some abba-worship of sorts in your life. was in the middle of my working out mode at the gym when my mum texted if i wanna go with her and pop to watch mamma mia at the nearby mall. of course i said yes, and now you know where my priorities lie. pag sinabing sine, sine! dedma sa pagpapapayat at healthy lifestyle! bakit bah. dapat lang sigurong family affair ang panonood ng pelikulang ito. my family loves music and each of my parents have their own set of favorites which i all got to hear–sometimes against my wishes–at home when i was growing up. abba was of course part of that collection, mostly my mum’s, pero my pop, because he is a musikero (meron siyang “combo” dati dude! combo! hanep sa term!) appreciates the geniuses behind abba’s timeless and iconic music. of course, namana ko ito, although a bit later. kasi i still have that teenager napahiya-sa-kamag-anak memory of me with my post-college age titas jumping and screaming at heartbeat mega disco in the late 80s when they heard “dancing queen” play, at iniwan kaming mga teens na china-chaperone nila para magsayaw ng kantang blast from their past sa dance floor. hm. but when i hit college, abba hit me, too, so okay na ko by then. but abba is more than a blast from the past, kasi nga timeless siya, so kahit sa future, may importance siya. at nakakatuwang nakita ito ng tatlong babaeng lumikha ng original MAMMA MIA! THE MUSICAL sa uk in the late 90s. 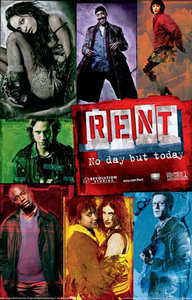 i have the original cast recording na at naghihintay lang na dalhin ito sa pinas, pero no such luck. i was actually planning to buy tickets for this and treat my parents to it, because i know they’ll love it, especially my mum. so of course, we all love the film. grabeh! 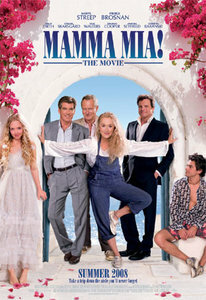 dapat ang subtitle nito ay MAMMA MIA: MERYL STREEP WALANG KUPAS. grabeh lang ang lola mo dito! naakatuwa siya. dancing and prancing and hitting the notes right, plus plus plus giving a dose of that meryl academy award-winning acting, emoting and such! panalo lang yung eksena ng “the winner takes it all” while she was using the song to emotionally confront and withdraw from the ghost of her past romance with pierce brosnan’s character. ang hirap nun a! i remember an exercise in acting class where we were made to emote or something pero using words that didn’t make any sense, basta dapat ang emotion ang mas importanteng lumabas. parang ganun yung eksenang ito. emote galore sila sa side ng isang greek isle habang hine-helicopter shot ang song number. AWARD!!!! walang kupas si meryl. syempre nakatulong dito ang music ng abba. unang linya pa lang niya ng “i don’t wanna talk…” potah parang pinana ang puso ko at KAPOW! sapok sa tama ang song sa emotion ng scene at sa meaning and all that. potah. only women who have love and lost and know the importance of both could think of trawling through tons of abba’s songs and use that to tell a narrative that is also as timeless and as universal as the songs themselves. winner!!! panalo rin ang pacing ng pelikula. minsan kasi, depende sa materyal, kung may sarili na itong buhay o wala, sometimes it takes a stupid ingot to mess it up on film. such was the case of RENT when handled by chris columbus. hay, but that’s another review. oo magtutuos tayo chris columbus, humanda ka! ito kasing mamma mia, klaro na musical siya. musical na klarong may montage of shots, may artistic lighting effect (another subtitle could be MAMMA MIA: THE VERY BACKLIT MOVIE kasi halos lahat ng eksena may backlight lalo na sa hair), may cool choreography at may emotions na dine-deliver ang mga eksena sa tulong ng kanta. YAN ANG MUSICAL, CHRIS COLUMBUS! hmp. i liked it that the “dancing queen” portion became a sort of feminist woman-power song number, when donna and the dynamos walked along the villa and every woman trapped in their daily domestic roles suddenly got empowered to join the trail until they all made a parade of sorts and ended up near the shores, tapos talon sa tubig ang tatlong bida at some of the women, too. para bang at the end, the women had some self-cleansing done and all. i liked that symbolism. panalo sha. iba talaga pag mga babaeng nakakaintindi ng mga babae ang kumakana ng ganitong kuwento, no? hindi exploitative, unapologetic (we see the characters as really human) and real. it also helps na they understand the potential of the visual language that cinema could offer, freeing them of the restrictions of the four walls of the stage. in fact, i couldn’t even imagine this being staged! curious. gusto ko rin yung character twist nung character ni colin firth hehe. happy. wala lang, nakahanap lang ako ng kakampi hehe. my only beef with this movie is pierce brosnan. as dapper as he is, man, he should leave the singing and, uh, movement, to others. or gumawa siya ng support group ng “hollywood hunks who shouldn’t touch the musical genre,” with richard gere as their president. hindi keri, mga kuya, pramis. nakakatawa lang when julie walters began singing “take a chance” hehehe. not only once did i use this song to woo some women. may hit, may miss, at may nag-regret na di niya pinatos hahaha. chozzzzzzzzzzzz. now you know what will be on heavy rotation in my mp3 player this week. masaya ito! this is based on the late ’80s john waters film of the same title, starring ricki lake. and i know those details because i grew up watching ang loving john waters’ films. sobrang campy pero happy. kaya nung lumabas ito noon, aliw ako! tapos naging broadway musical siya nung early 2000s yata, tapos happy rin yung songs, favorite ko yung “momma i’m a big girl now.” tapos eto, naging movie musical na siya, kaya three times na ang happy. happy! tapos maganda yung pagkakagawa ng choreo na nag-swak sa pelikula. kaya pala ganito kasi nung nag-flash yung credit sabi e yung direktor ang gumawa rin ng choreo. na mabuti naman kesa sa yung direktor e walang ideya sa choreo tapos ifi-film lang yung mga nagkakantahan at nagsasayawan. ang chachaka nung ganun. pero eto, galeng kasi interwoven ang dance and songs sa language and grammar of film. hanep! bet ko sya! saka cool yung kuwento kasi nito. integration of races in a racially divided america noon. plus self-image din ng teen girls. saka showbiz, or the business of entertainment. daming issues pero hindi heavyhanded ang treatment, true to the feel of the original film. kaya lang mas masaya yung noon kasi mas emphasized yung hairspray element. as in lagi talaga silang nag-ii-spray ng hairspray. na nakakatawa at nakaka-relate ako/kami noon kasi ito yung panahon na talaga namang nagtataasan din ang mga bangs at buhok ng mga babae kakagamit ng aquanet hahaha! tangina nabutas lalo ang ozone nung panahun na yun! the cobra hairdo! walangya. hahaha funny. kaya lang medyo na-off ako sa audience nito. kasi the makers did a helluva pr job about john travolta playing the role of the obese mom. pero nung may mga tender moments sila ni christopher walken, some people just voiced their homophobic rants na naman seeing nga na dalawang lalaki talaga yang nasa screen. nakakainis! i guess the suspension of disbelief was not big on them. or talagang homophobic ang mga taong matuturingan. or both. nonetheless, di ko na pinansin yun masyado. or at least i tried. basta i focused on enjoying the film and that’s it. 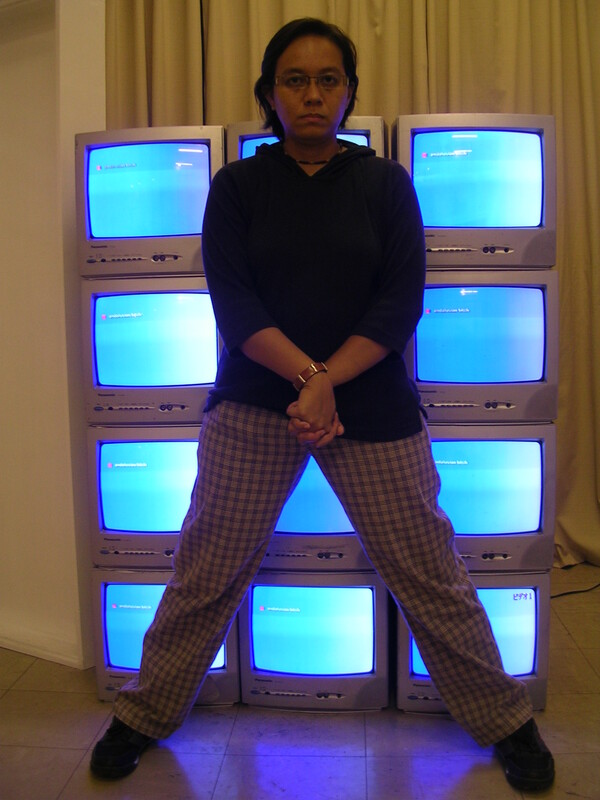 kaya panoorin niyo na siya sa big screen kasi mas masaya kesa sa dvd, sensurround and all.